The long-awaited crossover returns with its third issue, bringing us up to the story’s midway point. Like the previous two installments, this one is full of action and surprise twists for the beloved ‘80s properties. 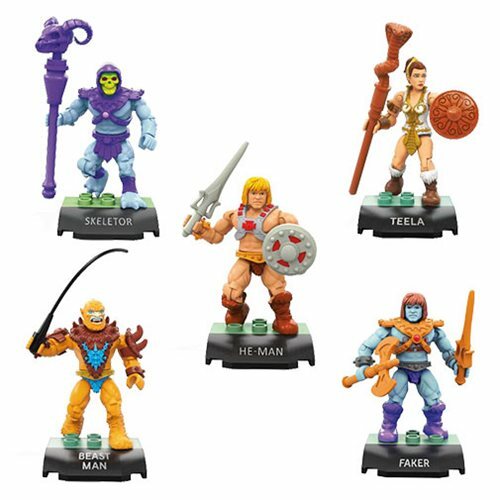 While we had mostly been following He-Man and his fellow Masters of the Universe, the focus now shifts to Lion-O and the ThunderCats. 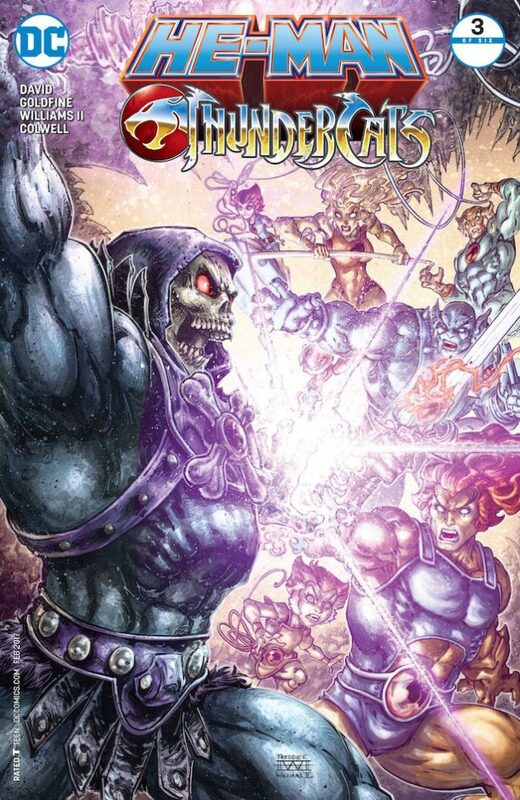 The team arrives on Eternia and battles a newly super-charged Skeletor across the first half of the issue. 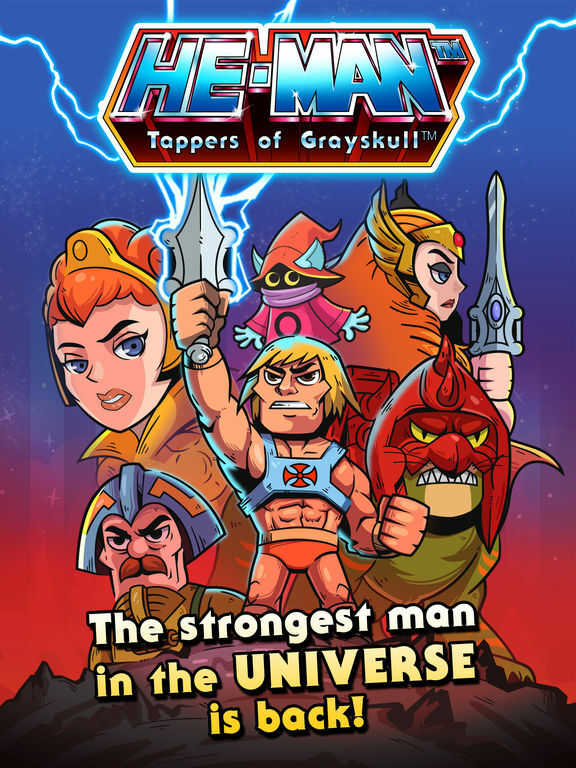 The skull-faced Lord of Destruction has acquired the power of He-Man, but also of Mumm-Ra the Ever-Living, who now speaks in Skeletor’s head. The two fight over who will control the body they share and how best to conquer their two respective worlds. 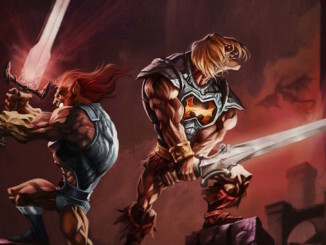 It’s great to see the ThunderCats finally get their turn in the crossover’s spotlight. 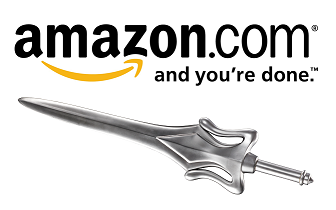 They cooperate and quip, everyone showing off their unique abilities as they fight to recapture the Sword of Power. The writers and art team crammed a lot of content into the battle pages; instead of a series of big, splashy pages, we get a dense, meaty scene. Also entertaining is the team-up between villains. 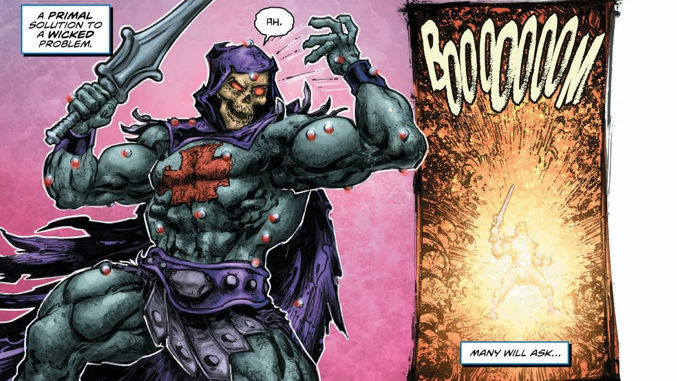 Mumm-Ra and Skeletor squabble and name-call, but they are on the same side… At least until one double-crosses the other again, which will probably be in another issue or two. 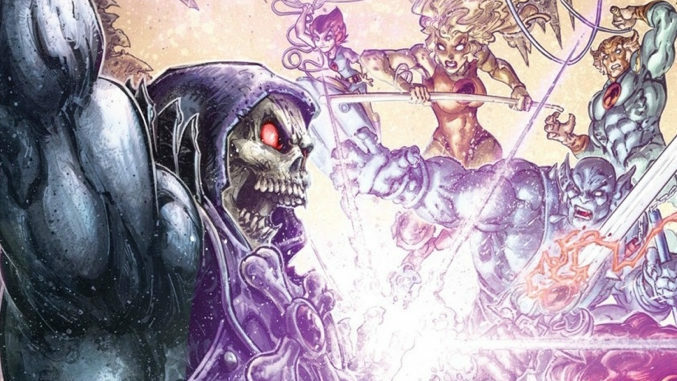 While some readers have complained about certain stylistic or storytelling decisions by the writers, the events of issue three make it more clear that this miniseries is happening in a continuity vacuum. 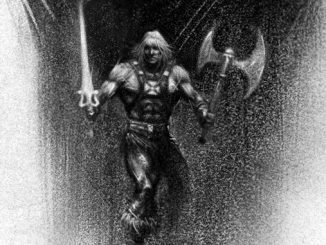 Any changes or revelations in “He-Man/ThunderCats” should not be expected to carry over to whatever happens next for the two franchises. Just as likely, their worlds may be magically put back together by the end, so no one can remember what happened. Certain surprises in the story are jolting, even a bit confusing, but it’s best to simply go with them before we see how things will be resolved. Another sticking point for some has been the violence in the series. Besides the occasional PG-13 utterance, the comic has been largely cartoonish, with the exception of shockingly violent moments like Prince Adam’s impaling in issue one. There’s more sudden, graphic violence in this most recent issue. While it’s not pervasive, it is beginning to seem less like shock value and more like gratuitous gore. With any luck, this will be toned down instead of ratcheted up as the series comes to a close. 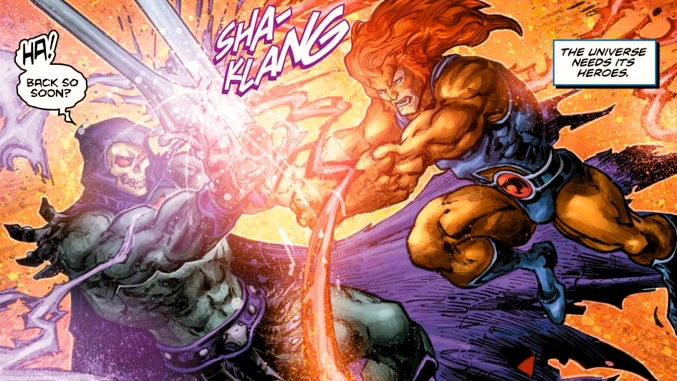 Overall, He-Man/ThunderCats #3 is a fun, well-made comic. The art from Williams and Colwell fits the characters perfectly, and the scripting is still fast moving, clever, and filled with references and Easter Eggs for the fans. 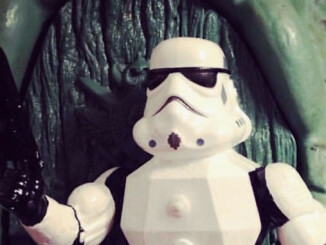 Issue three moves the story in some surprising new directions, building towards a finale as big and colorful as the two franchises themselves.